You're definitely going to want to bow down to these bows. If you don't bad things will happen. First, your wrapping paper will be really, really boring. And this will cause a domino effect. The recipient of that boring wrapped gift with no bow will definitely not enjoy your company after the fact. Then the party is going to be super awkward. Then you'll lose that friend. And finally you'll be alone for the rest of eternity. These bags are complete with an assortment of different colored bows. The more bows in a bag, the smaller the bows! Decorate your gift with these bows and you are sure to get the attention you desire! And how can you pass up a BAG of them? 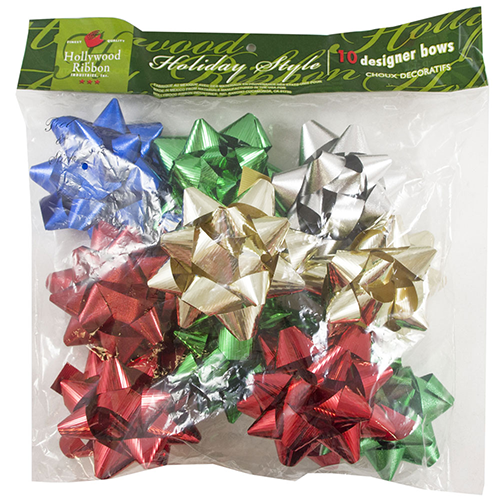 Gift Bow Assortments come in packs of 6, 10, 9, 16, and 25.